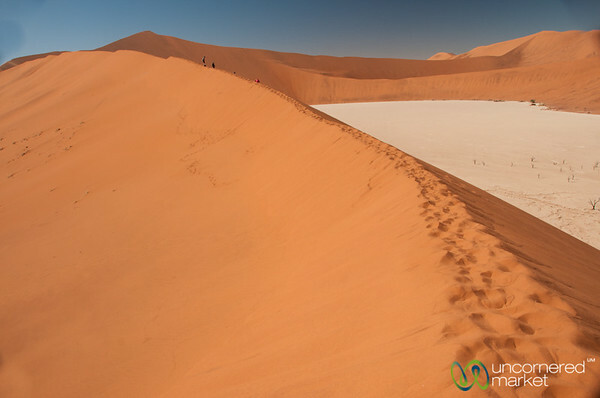 Sossusvlei highlights including Big Daddy dune and the spooky trees of Dead Vlei. 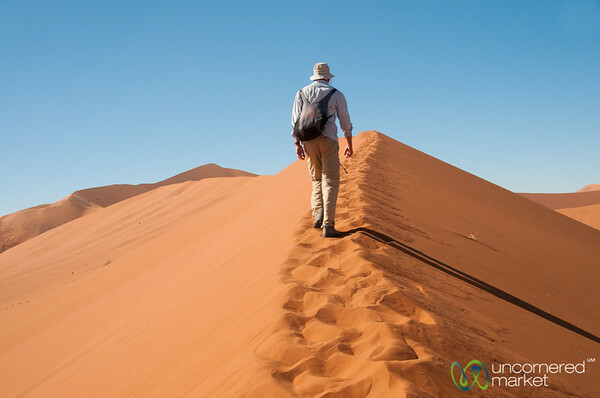 Dune climbing in the Namib Desert, Namibia. Dan goes volcano climbing in the Namib-Naukluft National park, Namibia. 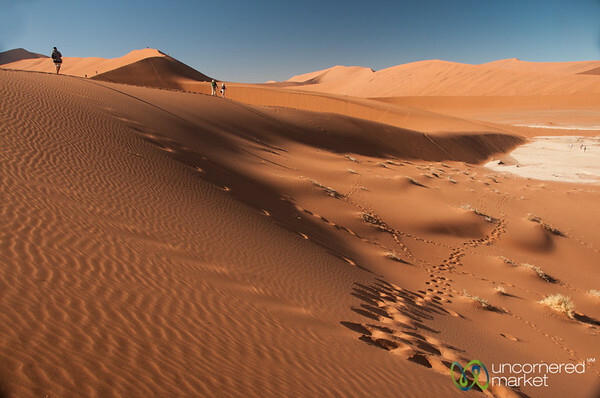 Big Daddy Dune in the Namib Desert, Namibia. 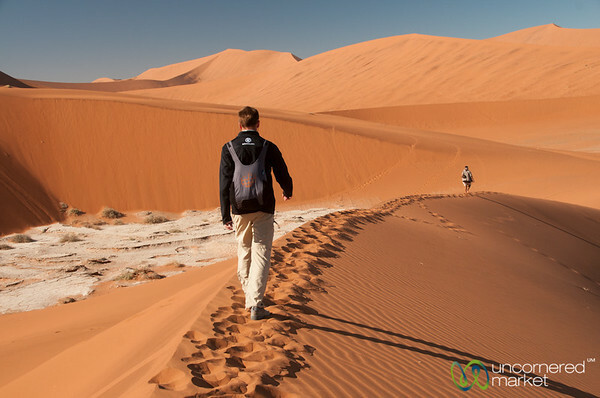 Climbing big daddy dune in the Namib Desert, Namibia. 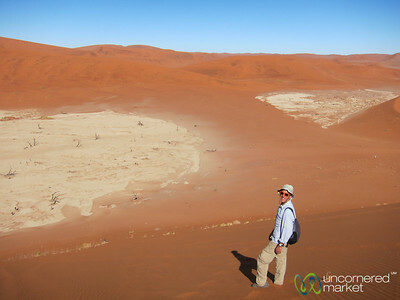 Dan at Big Daddy Dune in Namibia. 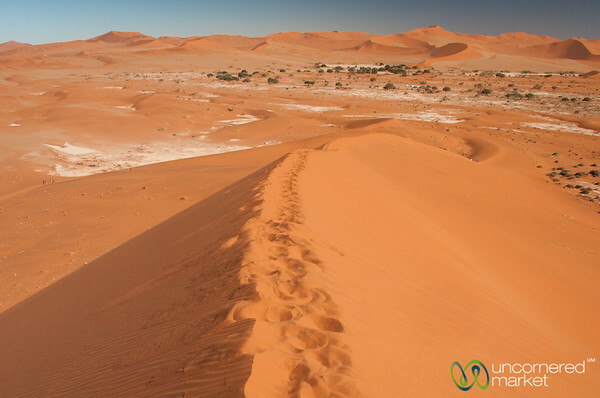 Namib desert views from atop Big Daddy Dune, Namibia. 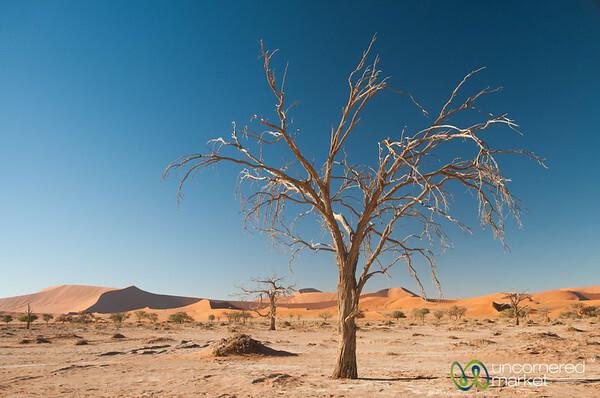 Tree in the Namib Desert, Namibia. 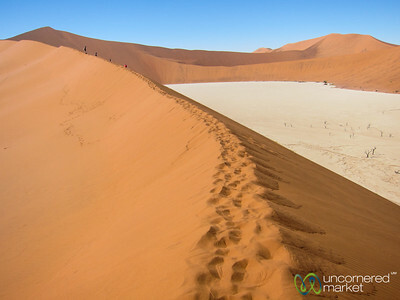 Climbing Big Daddy Dune at Namib-Naukluft National Park. 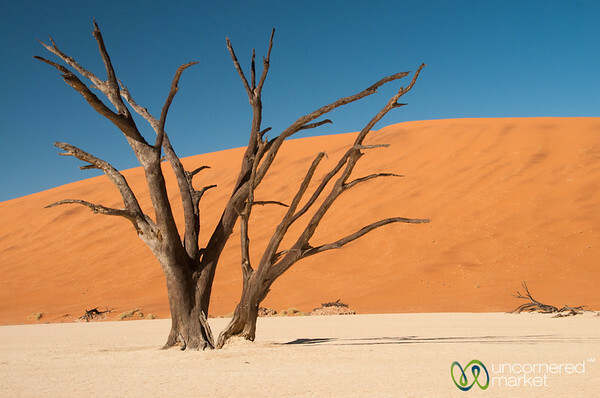 Deadvlei trees. 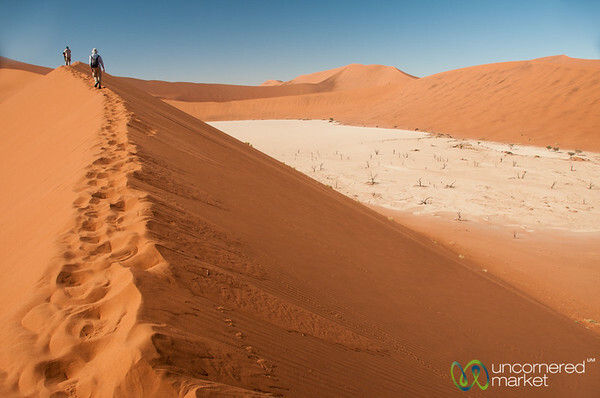 Namib-Naukluft National Park, Namibia. 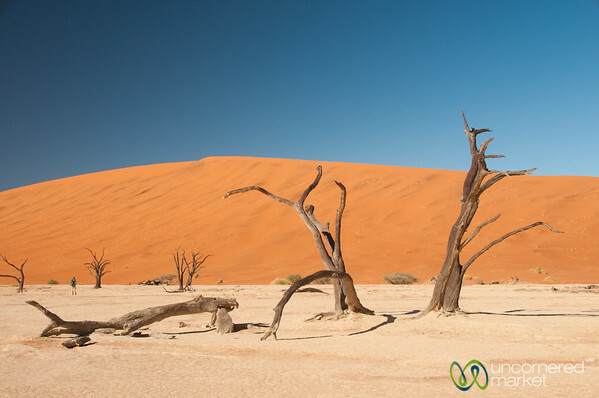 Like a Dali painting, dead trees at Deadvlei. 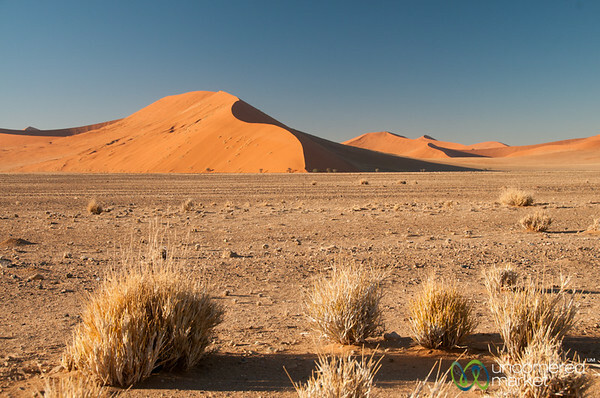 Namib-Naukluft National park, Namibia. 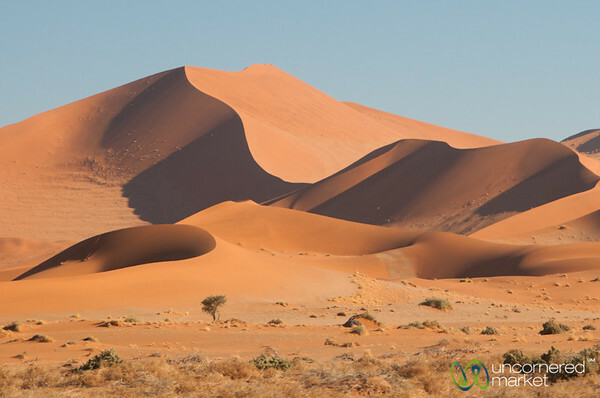 Dunes of the Namib Desert, Namibia. 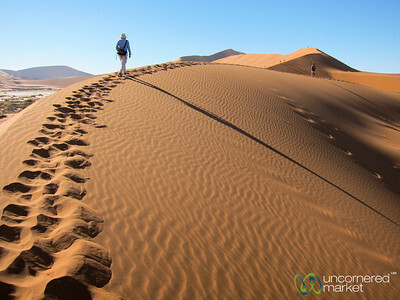 Climbing dunes in the Namib Desert, Namibia. 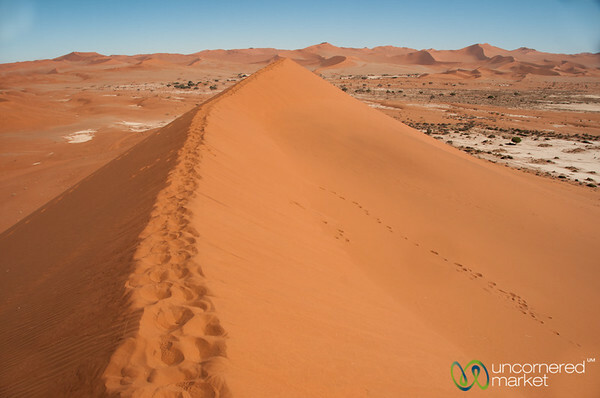 View of the Namib Desert from atop Big Daddy Dune, Namibia. 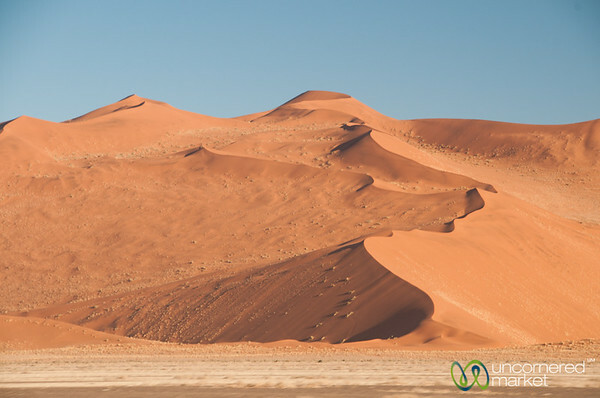 Cracked earth and crystal blue. 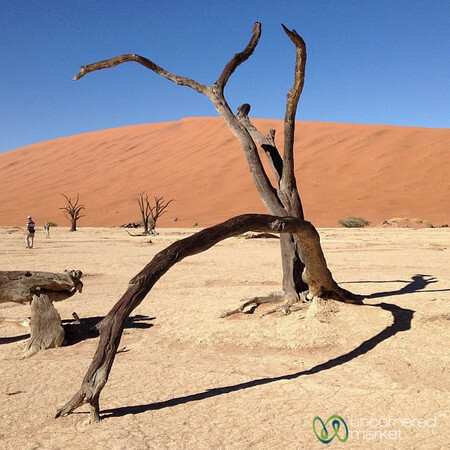 A day begins at Deadvlei (Dead Marsh). 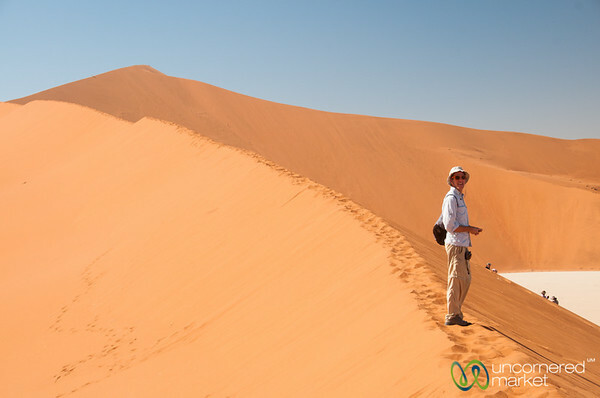 Today's #nofilter special from our time dune-hopping in Namibia.